We only produce custom models…Tailored to your specifications. All artwork/detailing is done by hand (No glued on decals ever!). Your project gets individualized attention to detail. Your are not limited in size (From 12 inches…. to 12 feet). We can construct your model according to special drawings/pictures provided. Not limited to airplanes…Helicopters, Aerospace Vehicles, Concept Aircraft and Decorative Plaques. Construction material –Pure Mahogany Hardwood Lasts a lifetime. You will be provided pictures of your model project during the construction process for your inspection prior to shipping. Experienced with government and military requirements. Mahogany Models was established almost twenty years ago by accident. The founder of the company was an airline pilot and former Naval Aviator. 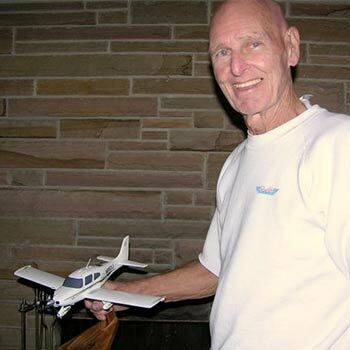 As a kid, he went to hobby shops and bought cheap plastic models he put together himself. But his assembly skills as a youngster were below par…especially the application of glue. Most of his models looked like glazed donuts. He found himself nearing the end of his aviation career due to reaching the mandatory retirement age. 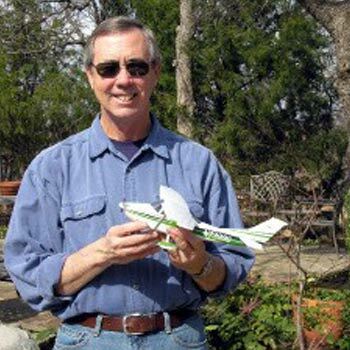 To preserve some of the fond memories of his flying-life over a 40-year period, he sought out real craftsmen who could make an exact replica of the many planes he used to fly. Eventually he found a group (a family really) that had been doing precision carvings for half a century. From having a perfect replica of his Navy A-7E Corsair constructed sprang forth Mahogany Models; the finest custom aircraft models from the finest wood craftsmen you can find. But the story does not end there. In addition to custom aircraft models, the company expanded into the construction of customized models of various types of Aerospace vehicles. When it comes to accurate wooden model recreation we are the Go-To-Guys for many particular clients who demand exacting detail on their model projects. We have done work for the United States Air Force, NASA, CNN, the White House, and other organizations. Every order we receive is a custom order. No two projects are alike. Let us begin work on your project…and prepare to be amazed.